is located in Lyndeborough, NH, about an hour and a half north of Boston. We sell fiber, yarn, hay and alpacas. We are realizing our dream to have our animals in a healthy and peaceful atmosphere. They in turn are giving us the abundance of soft and gorgeous fleece. 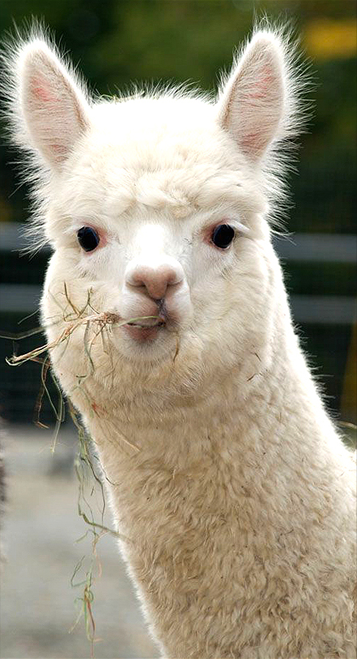 Come and see and enjoy the alpaca lifestyle with us. Visit us on Facebook for all the latest news and to find what shows and fairs we'll be at! All of my yarns that are hand-dyed are dyed by me using colorways I've designed, created in a smoke-free, pet friendly environment. This lovely animal is a rare guanaco with a great story to tell! Shearing Day segment on WMUR-TV! Check out WMUR's report on Purgatory Falls Alpaca Farm with some wonderful interviews and delightful video from shearing day. Our goal is to provide our customers all the help and services they need to start or improve upon their existing farm. We continually increase our knowledge base and practices so that we can offer alpacas of superior quality and outstanding health. Come talk to us, see our farm and animals and decide for yourself.